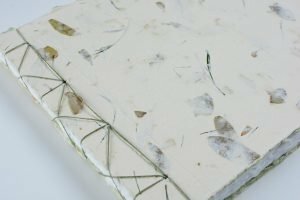 Updated January 2018: I wrote a tutorial on this binding here. Welcome to week 2 of The 50 Book Project. 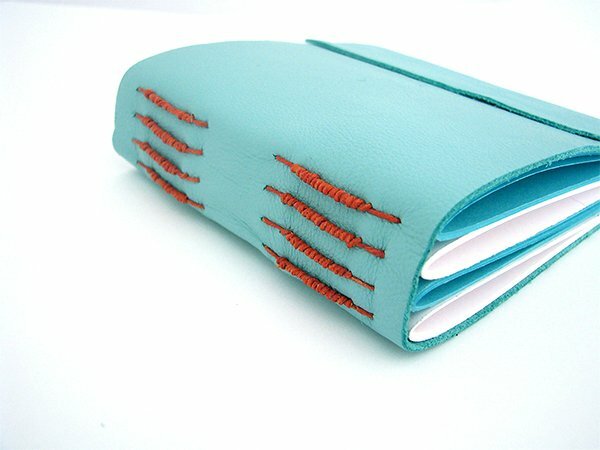 This book is a variation on tacket stitching that I explored last week with the large and small tacketed leather journals. 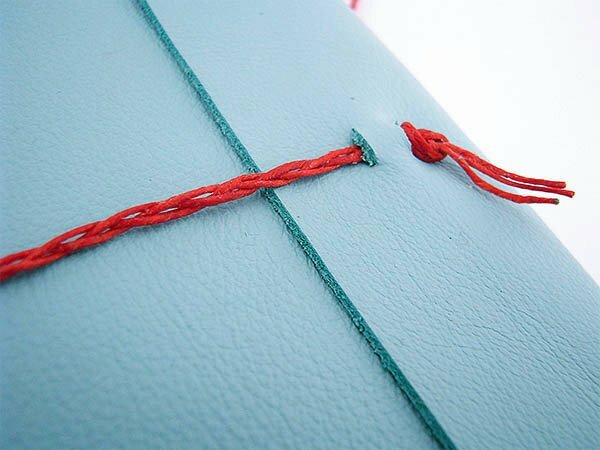 It’s also called a Long Stitch with Packing. It’s also detailed on Dennis Yuen blog, CaiLun, complete with photos and instructions (note: this link it no longer working. Here’s my tutorial). 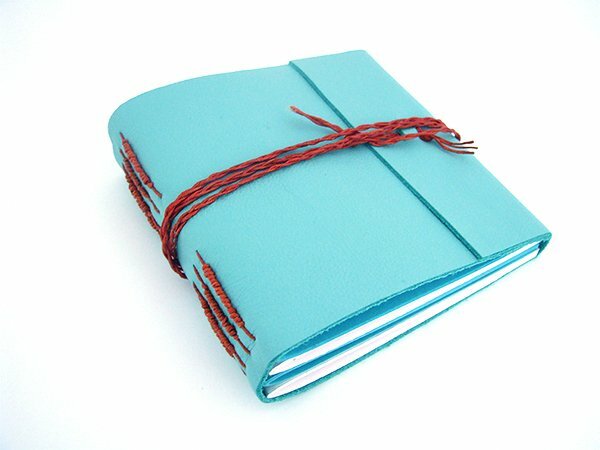 What I like about this binding is the way the thread wraps around the stitching on the spine i.e. the packing. 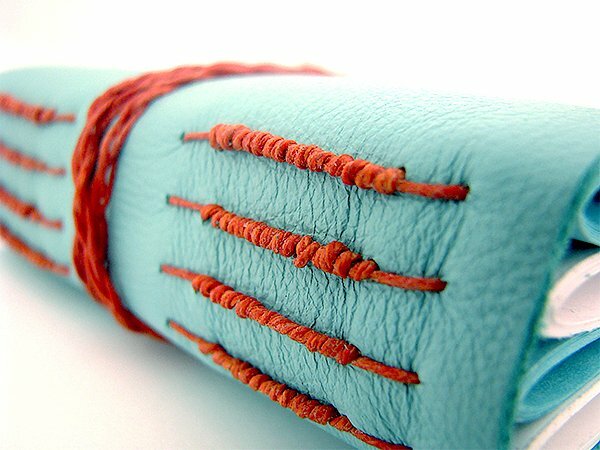 To hold the book closed, I cut a slit on the cover and fed through a piece of braided waxed linen thread, the same one I used to stitch the book, and wrapped it around the book.